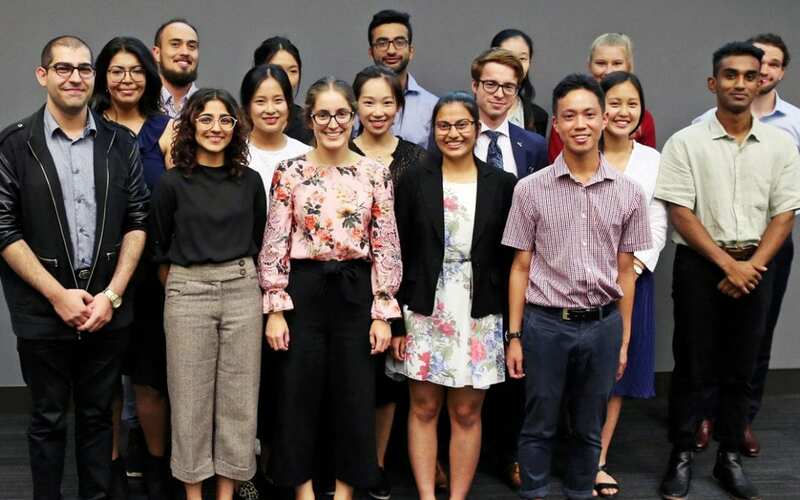 On Monday 25 February 2019, the NZ-National Eye centre held its 12th annual summer student symposium at Grafton Campus, attended by staff and students from the Ophthalmology Department, the School of Optometry and Vision Science and the Molecular Vision Laboratory. Seventeen students presented their summer projects in four-minute long presentations (plus two minutes for audience questions). The rapid fire presentations were polished and covered a wide range of topics from the cornea to the retina (and a bit of fusion and interocular suppression for good measure). 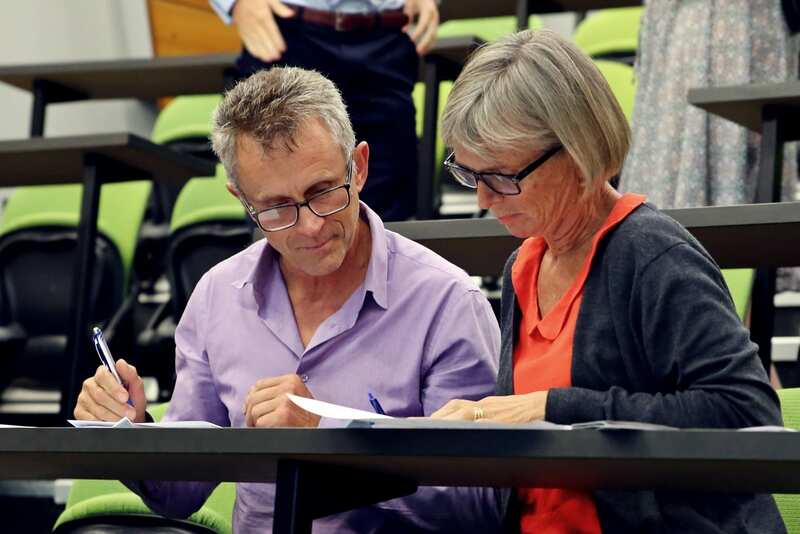 Professor Bridget Kool, Associate Dean (Academic) and Professor Andrew Shelling, Associate Dean (Research), FMHS had the difficult job of choosing three winners from a group of articulate young scientists. Two of the three winners were BOptom students: second place went to a 4th year BOptom student, Muthana Noori, who described his novel work localising atropine in chick retinas using MALDI as a step towards understanding atropine’s role in myopia control. First place went to Mehek Dutta, a 2nd year BOptom student who described her work on 3D printed bandages for corneal wound healing. Mehek said she was quite motivated by clinical work, and research didn’t initially appeal to her, however she wanted to try a small project before ruling it out. The summer studentship ended up being such a positive experience that it changed her perspective on research. She found herself very engaged in the project and motivated to see results as they came in. Mehek now looks forward to more opportunities to be involved in research. This is a good example of how short term research projects can inspire students to broaden their interests, and potentially career goals.